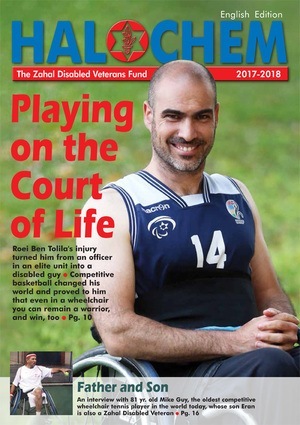 On April 19, 2015, with the weather cooperating, a crowd of more than 400 people, ranging in ages from infancy to 95 years old, gathered to participate in the 6th Annual 5 Towns 5K Run/Walk to support Friends of Israel Disabled Veterans–Beit Halochem. They came have fun while raising funds for rehabilitating these heroes injured in war, military activities, or in terror attacks. This community event helps spread the word about Beit Halochem: the rehabilitation centers in Jerusalem, Haifa, Tel Aviv and Beer Sheva, which provide individualized therapies, classes and physical challenges, specialized team sports and training, academic scholarships, family-oriented activities, and a healing community. There were races for everyone, from tots to senior citizens, along with prizes for the winners. Crossing the finish line first for the men was Dmitriy Krasney, 31, of Far Rockaway (who was also our 2014 winner), with a time of 18:29.1; the first woman to finish was Eliana Abittan, 23, of Lawrence, 25th overall, with a time of 24:18.5. Of the older runners, 88-year-old Jonathan Stein, from West Hempstead, finished in 302 place, with a time of 56:32.5. Bagels, bananas and other finish line food were provided by Gotta Getta Bagel Café, Brach’s, and Sqeez’r, among many other local businesses that contributed. As in years past, Maidenbaum Property Tax Reductions was the major sponsor. For a complete list of sponsors, please click here. Congratulations are in order to everyone who came, participated and raised funds for FIDV-Beit Halochem. We offer a very special thank you to Dr. Seinuk for his commitment to making this happen each year. “Even though we needed to move the date of the 5 Towns 5k only a month before the event, it still was a huge success. The weather cooperated and we had over 400 participants,” he noted.” He closed with this reminder: “The date for the 2016 5Towns 5K is May 15, 2016. Save the date.